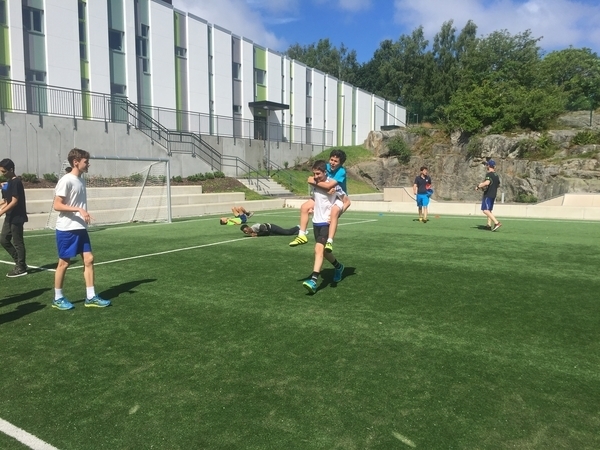 After a fun night at the Gothia opening ceremony and a big sleep in with a late game today, Coach Nuno put the team through some fun team building exercises before lunch today. Teams competed with each other in keep it uppy, 5 on 5, team keep it uppy, and piggyback races and football tennis to finish. It was a hot day so we let the team rest up, had a stretch session for those who wanted to attend and a lay down before tonight’s game at 5:30pm. A much closer game with Jarlsberg FC today the boys started stronger and were holding their own against another physical side until a lucky goal suspiciously offside went in. While we can’t complain because of no touchline referees the Swedish refs do miss the odd offside which is catching us out now and then and cost us a few times in this game as well. The guys started communicating a lot better today which was one of the things we worked on in the morning so that was a real positive for the side. Down one nil, we caught out in an unfortunate moment when we thought a penalty was about to given and slowed up but the game continued and our defense got caught out letting in the second goal of the game. 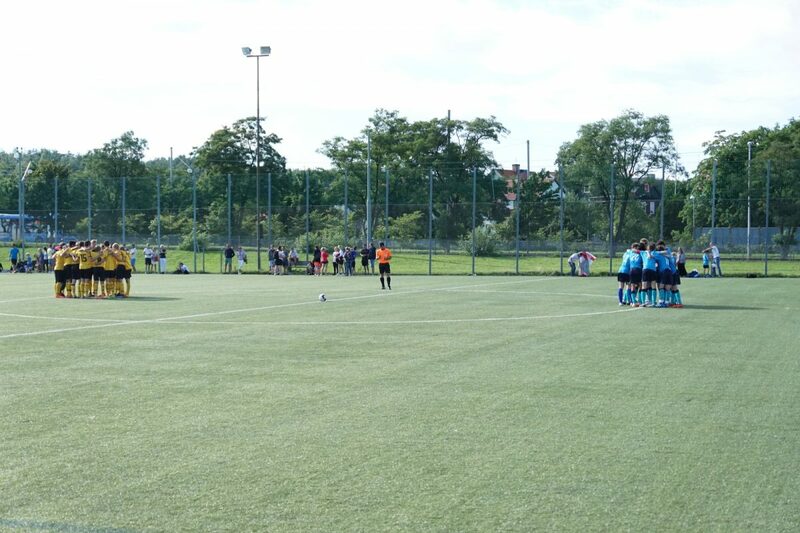 The boys went down today 3-0 against a team that again were just bigger and taller than the majority of our team. What many may not realize is that we have a five players that are 2 years younger than the teams here. While it is tough to take these two loses it is a large character building exercise and good experience for the younger players. Sometimes as a club you have to take chances like this and be prepared to have a few setbacks which later on become the building blocks for a successful club. Special thanks goes out to our Kids parents who have been supporting us on Facebook and What’s App, and to the few who have made the trip across to support us in person, we are always humbled by our supporters.